I'm a bit of a football fan - that's soccer, for those who get confused as to what football really is! My favourite club as a child was Newcastle United, even though I lived in west London and was within reach of the likes of Arsenal, Chelsea, Spurs, QPR and so on. I think the reason must have been because Newcastle was where my mother was born. 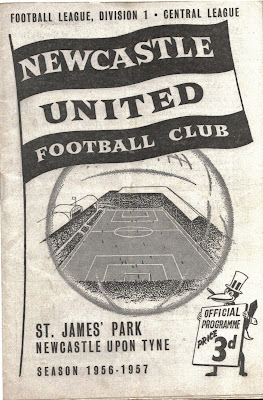 Anyway, I was at a car boot sale and saw the Newcastle United programme as at the top of the post, so I bought it for £1 thinking it might be of interest. I've already got quite a few old football programmes I've collected over the years. I didn't look at it properly until I got home. It was then I saw that the team playing wasn't actually Newcastle. 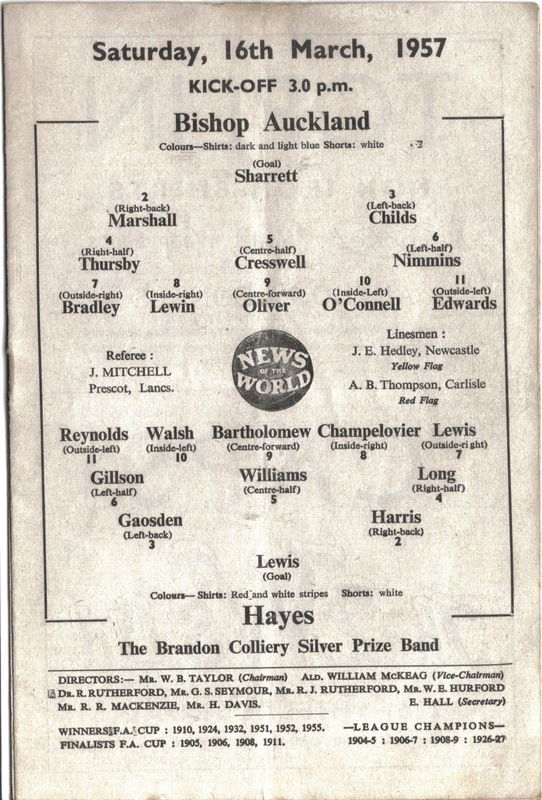 Their ground was being used as a semi-final for what was then known as the Amateur Cup. Bishop Auckland were playing Hayes - and this is the coincidence or synchronicity because Hayes is where I lived as a child. 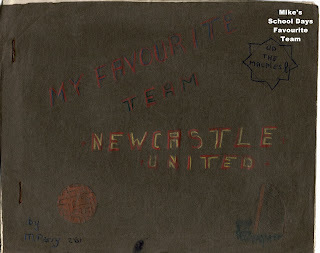 And to show my childhood Newcastle United credentials, below is a scan of the cover of a booklet I wrote when knee high to a grasshopper. Strange the links we have that never go away. P.S. In case you were wondering, I found out on Google that the score was: Bishops Auckland 2 Hayes 0. And I thought I'd better add that Newcastle is about 450 miles north-east from where I now live and Hayes is about 300 miles east. So quite distances to be connected. Here's a few syncs for me with this post. 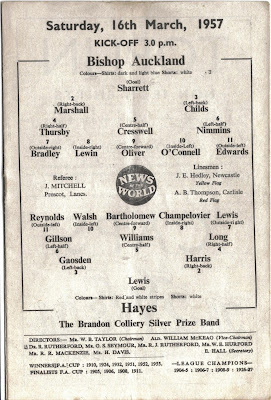 My Nana used to live just up the road,so we would often as kids just walk up the road and go watch a game.They were the days when Mel Meninga was playing for them. Now with the Brisbane Broncos in the NRL the local league has lost popularity. My wife's cousin just had his 40th Birthday in the Souths Leagues club,as he used to play football with them about 20 years ago. That brought back some memories and afterwards I went for a drive down the street where Nan's house used to be. The houses and factories are all gone and there are ten story apartment buildings all down the street. (they all are.-) Newcastle Knights fan. He used to look a lot like Matthew Johns when he was playing football,so that's probably why,as he is from Brisbane. So it is a strange pattern the webs sync weaves,isn't it ? West End(where Souths home ground is)in Brisbane. It is a strange pattern we weave. 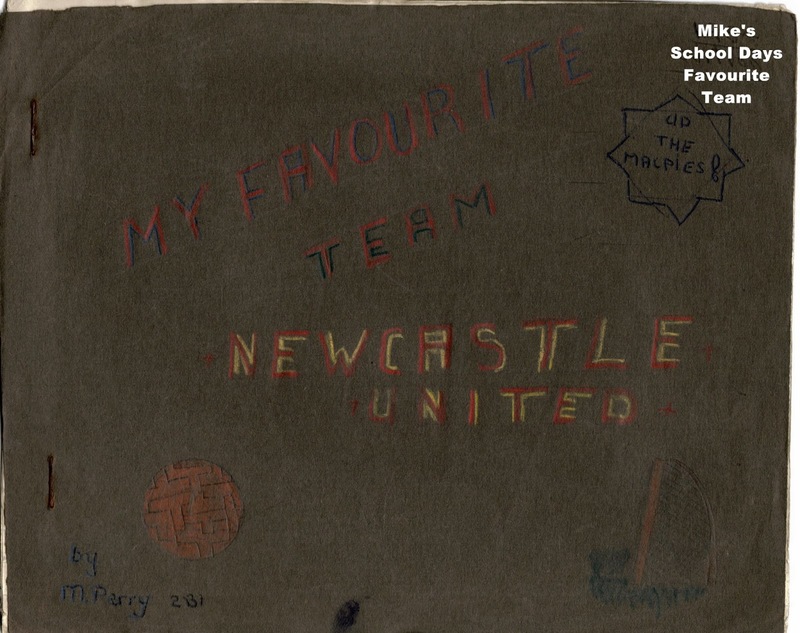 I guess you may also know that Newcastle United have the nick name 'magpies'. It's always strange where things lead, like your Nan's house and the area now. I was just thinking and saying to Karin yesterday that I'd like to take my daughter-in-law to the area where I was born to show her some of my memories - she likes that sort of thing (or at least humours me!). Darren: just been over to the 'Hay' blog. Memories came flooding back. I had a great day in Hay and was actually looking at one of the books I bought there a couple of years back - 1800s book about USA early history and it's beginnings. Might just do a post about that. Fascinating post and comments. You two really seem to have a lot of synchro connections. More and more frequently, I'm thinking of the internet as one giant indra's net. 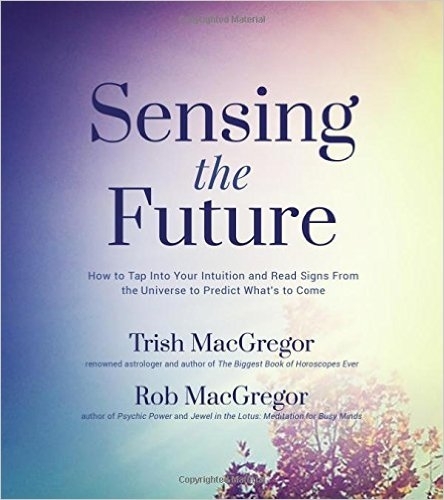 Thanks Trish, it does seem to be one big web or net that almost encourages the connections.